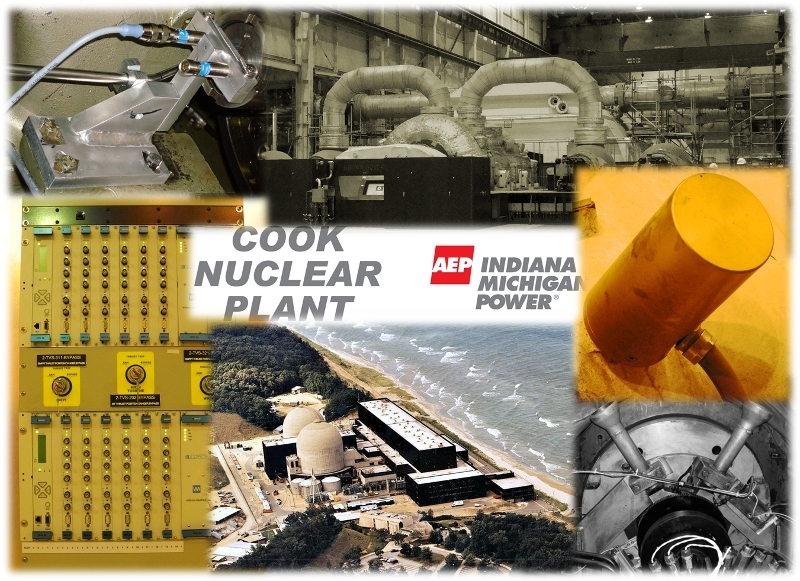 The Cook nuclear plant of AEP is located in Stevensville, Michigan, and comprises two large steam turbine / generator units of 1200 MW each. AEP upgraded the existing main turbine shaft rider protection systems and installed new supervisory instrumentation on the dual feed pumps - for both units - with both systems designed, supplied and installed by Zeefax. The sensors fitted to the main turbine bearings included an innovative re-design of the existing shaft rider carriers, which enabled them to be re-used to mount the new proximity probes. This unique design minimised the amount of re-machining required on the bearing cases during the outages, and meant that the new probes could be fitted into the bearings without having to do any disassembly work. The new installations included separate VM600 systems – providing both protection and condition monitoring capabilities – one for each main turbine unit, with the equipment racks housed in free standing cabinets located on the turbine deck. Each cabinet is fitted with air conditioning units to ensure correct operating temperature for the VM600 systems. An important feature of the VM600 system is the dual redundant network capability, which was used to separate the machine protection segment of the new systems from the condition monitoring segment. Each system includes a main control room panel mounted video graphic display, featuringPowerPAC™ software and with touch screen capability, providing a series of detailed turbine and feed pump mimics, and a condition monitoring and analysis workstation, located on separate network segments. Zeefax provided all of the engineering design, integration, testing and installation supervision for these two separate systems.